Winter not only our skin is easy to dry, and even our hair to join in the fun, dry, knot, from the static, how comb is not smooth. 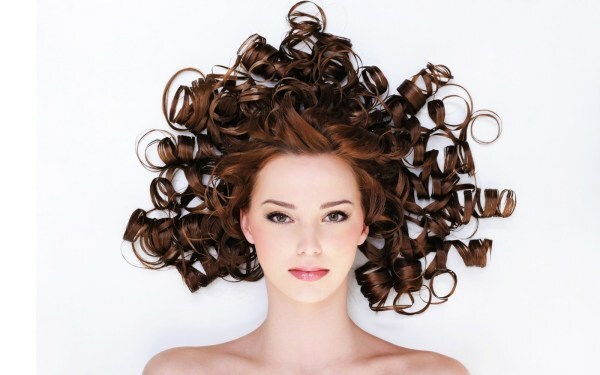 Teach you simple 6 steps, so that you can also have the perfect elegant hair in the winter. 1. The reason why winter hair will produce static electricity,from the hair dry, mainly with the dry weather, clothes and hair friction and shampoo, hair care methods improper. 2. Shoulder long hair with the friction of the clothes, encountered dry cold, touch, etc., will let it soon produce static electricity, in order to reduce the trouble, it is best to long hair bundle up. 3. The use of plastic or metal comb hair, will also promote the hair to produce static electricity. How to properly care hair is not dry, to prevent static electricity? This will be the scalp of the oil naturally scattered on the hair, you can make the hair shiny, careful not to comb to massage, comb hair will lead to more and more hairy hairy, but also increase the electrostatic phenomenon. If you feel that hair dry, after the finish is not fluffy, then you may wish to change the order of shampoo, all the hair after the wet, 1. Use hair conditioner to smear the hair, so that the hair becomes soft and docile, 2. Use shampoo to clean the scalp and head, which can effectively prevent knotting. Hair and skin, if the lack of water, it will not be full and soft, "moisturizing" is the hair tips. Therefore, in addition to daily intake of vegetables, fruits, drink plenty of water, but also choose a moisturizing effect of hair supplies. So that the hair layer of the cortex filled with water, often moisturizing and luster. You can also use the high moisturizing shampoo, according to their hair characteristics, to maintain a week 3 to 5 times the shampoo frequency, so that not only to keep hair clean, reduce the skin contamination of the face, but also greatly weakened because of particulate matter friction caused by the electrostatic problems. Hair when the most easy to knot and static, so that girls are troubled. Daily use of the comb must not be underestimated, long hair girls best choice for the solid wood or insulating material of the wide tooth comb, this comb can be a large area of ​​contact with the scalp, easy to comb hair, reduce knot and static. Too dry place, if you have to wait for a long time (such as the office), then the humidifier is actually very useful. The way the hair dryer is used is also damaging to the hair, so we should choose the right way to protect our hair well. The best way is, in the hand combing the hair at the same time, the use of hair dryer wind and hair contact with the air, leaving the hair surface of the water will evaporate with the wind. When blowing hair with a hair dryer, the wind should be blown from the hair root and the hair is blown.